Let me guess… You’ve worked long and hard at becoming an expert in your field. You’ve done the reading, you’ve taken the courses, and you’ve put in the time. You’re a legitimate expert and you’re damn good at what you do. But… Almost no one knows it. And all around you, you see other people with less experience and less talent than you getting attention and growing their businesses. It’s maddening… and so discouraging. You wonder why you’re being passed over. You wonder why you remain in the background when others all around you step right past you and into the spotlight. Over time, it chips away at your confidence and you begin to ask if you’re really cut out for the big time. Sadly, I’ve seen far too many extremely talented people throw in the towel way too early over this very problem. What if I told you that there was nothing wrong with your worthiness, intelligence, or skill level? What if I told you that I could teach you to fix the only thing separating you from dominating your market? Well that’s exactly what I’m telling you! But before I tell you how I can help, let me tell you a little story that illustrates the whole point. Maybe you’ve heard of Nicola Tesla. And then again… maybe not. See, Tesla was a legitimate heavyweight GENIUS from Croatia who invented some incredible things for the human race - like alternating current, the spark plug, radio communication, and a whole lot more. 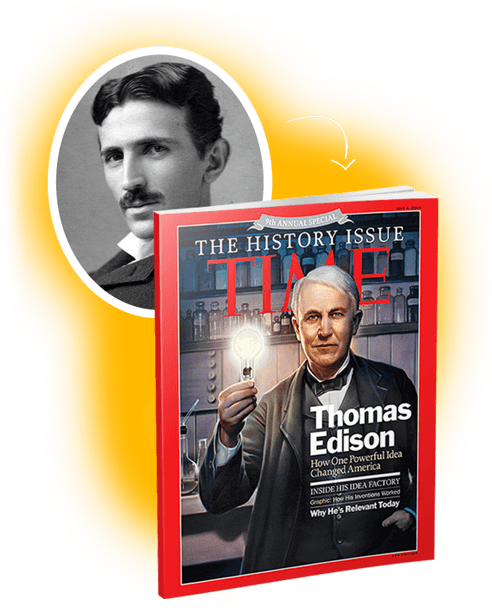 But he was overshadowed by Thomas Edison, who successfully and masterfully branded himself as The Greatest Inventor Known to Man. What many people don’t know is that Edison STOLE many of Tesla’s ideas and claimed them as his own. In the end, the genius Tesla died broke and unknown while Edison became rich and famous. The truth is, we live in a world where those who know how to package and market themselves get all the attention, recognition and money. And that, my friend, is called personal branding… and it can make you or break you. Those who master it are rewarded beyond their wildest dreams - while those who don’t fall by the wayside regardless of their many gifts and talents. 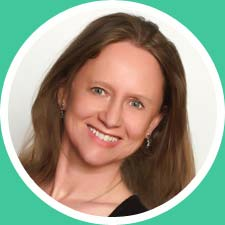 I’m Marisa Murgatroyd, and I’m a personal branding expert with an extensive track record of building incredible brands that work for my clients. For the last four years, my team and I’ve been providing branding solutions for 6, 7, and even 8 figure entrepreneurs. I’m fortunate to be able to say that in just over three years, my company has gone from ground level to a business that does over a million dollars, I’ve been featured in Entrepreneur Magazine, and I’ve shared the stage with dozens of world-famous entrepreneurs. That’s because luck has very little to do with it when you’re good at what you do and you know how to properly position and brand yourself! Over the years I’ve watched so many talented and worthy people fail because they didn’t properly brand themselves. It’s a sad, frustrating thing to watch… and it’s unnecessary. And that’s when it came to me. I’d create a comprehensive personal branding course unlike anything that’s ever been released before – and make it available at a price any entrepreneur could afford. Personal Brand Power teaches you exactly how to build the foundation for your own personal brand. I’ll teach you exactly what it means to ‘brand yourself’ and where to focus your attention to get the best results. The course is built around the idea that personal branding is all about figuring out who you are and what makes you different in a way that truly matters and resonates with your customers, allowing you to connect with them on a much deeper level. You’ll learn how to craft your personal brand in a way that you can fully Step into and own, not just today but year after year. 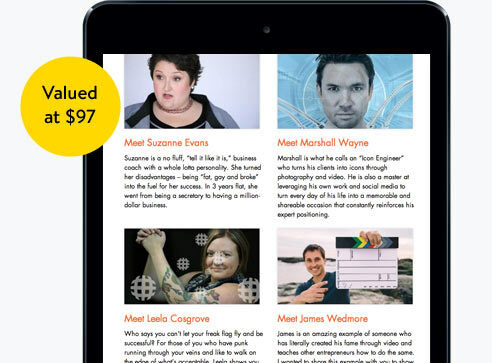 You’ll receive 10 hours of training on creating your personal brand – broken down into five 2-hour training sessions. Along with each training session you’ll receive support worksheets and exercises to do, plus you can download the videos, audios & transcripts of each session. In session one, you’ll begin to discover your personal brand - that unique light inside of you that will allow you to impact the lives of thousands if not millions of people just by being who you are. Learn about the #1 trap people who are insanely good at what they do often fall into when it comes to personal branding… and how to avoid it! Discover the very same secret of amplification used by superstars like Oprah, Tony Robbins, and Richard Branson - which allows you to accentuate and amplify the best of who you are and attract fans like a magnet. Master the formula for uncovering your Superpower: The one unique and amazing quality that you and only you possess - and the one that will set you apart from everyone else in your market. In Session two, you’ll dig down deep into the secret life of your personal brand blueprint: The unique attributes that make you who you are and attract all the right people to connect and fall in love with you. You’ll learn to decipher the tiny (but vitally important) signals that cause your prospects to form an opinion about you - and use them to instantly capture their hearts and minds. Discover one simple but powerful exercise that will enable you to become laser-focused and strategic about how you project yourself to your prospects. Harness the power of the WHY and learn the reason why it’s the cornerstone of your personal branding success. Session 3 is all about tapping into the unique “voice” that underlies everything you communicate to the world - and affects how your prospects react to you. You’ll learn to take all the unique qualities that make you who you are - and use them to create a distinct personal brand voice that your fans will recognize from a mile away. Learn to discover your signature words – and how to determine which ones will work like magic to bring you all the fans and customers you can handle. Harness the power of your values and beliefs to craft your superhero story, your bio - and the mottos, slogans and phrases you use to communicate with the world. Session four is all about using that newly discovered voice of yours to express who you are the right way and skyrocket your perceived value in your marketplace. Learn to capitalize on the scant 3-7 seconds your average visitor gives you to convince them whether they should either stick around — or click away and never come back. Master the art of visual branding by sending the right visual signals using 3 incredibly potent elements that look like you, feel like you and get noticed for all the right reasons. Use my personal (and unshared until now) tactics for using the busy, noisy venues of social media & email in a way that reinforces your personal brand to your target audience - and allows you to stand out above all the noise. Follow my proven blueprint to package up all that brilliance of yours into a signature book, product, or training. Session five focuses on building a brand of “we” by bringing more of the right people into your network - and pulling your existing customers even closer to your brand. Learn the secrets of bringing new people into your world - and expertly nurturing those who have already embraced your brand. 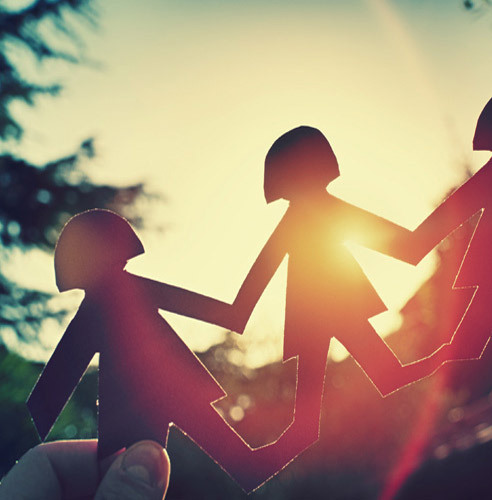 Cash in on my off-the-radar strategies to keep your tribe super engaged and build a deeper level of community -- not just between you and your audience, but also with each other. Discover how to earn more money and create deeper customer relationships without having to constantly add more customers. Acquire the skills to act as your own personal brand ambassador every moment of every day to build deep and lucrative customer relationships with your existing customers to ensure they come back to you again and again. I’ve learned that I need to be more present in my brand. Meaning, ME. I’ve thought of this business – dreamt up almost exactly a decade ago as I type this – as a THING that no one would care about. Much less be interested in what I had to say. I’ve tried four different web design companies at this point. Eating up more than two years and the last dribbles of savings. I feel that I’ve tried everything BUT letting my brand reflect more of me. I am now bringing more of ME into the website. And it feels great. Get started right away, simply click the big “Add to Cart” button below! Try Personal Brand Power for a full 30 day risk free. If you decide this program isn’t for you or hasn’t delivered the results you expected, then return it to me for a full, cheerful refund. You’ll also receive complimentary access to the private Facebook group only for Personal Brand Power students and alumni. Imagine having access to not only me but also the brains of dozens of fellow students of the Personal Brand Power program to get instant, invaluable feedback on your ideas. So not only do you get help when you need it, but you get incalculable value from the networking and connections you’ll make, too. 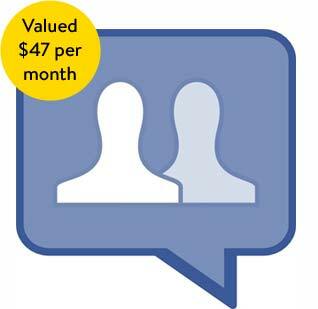 In fact, many of my students in other programs have stated publicly on the group that they would have paid the cost of the program just to get into the Facebook group! This has to be my favorite bonus! We’ve spent HOURS scouring the Internet for great examples of people just like you stepping forward as the face of their brand and found 6 amazing examples that we’ve collected together into a Personal Brand Showcase in the membership area. It’s a case study on steroids. You’re going to love this! We dissect each one, show you what they're doing and give you the key takeaways for each. This will be a huge inspiration for you as you begin to make your way with personal branding. 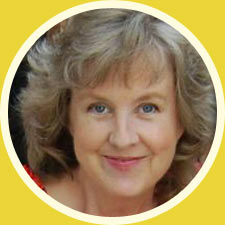 Ariana Hall is the world’s leading coach on self-expression and authenticity. She’s also someone who coached me privately for years so I could step up and do what I’m doing here today. In this amazing session, Ariana shows you how to show up and captivate any audience, how to work through any unconscious blocks or tics you have standing in the way of your self-expression and shows you where to focus your energy so your audience gets the most out of what you’re saying. Brad Axelrad, a founding member of the Association of Transformational Leaders. 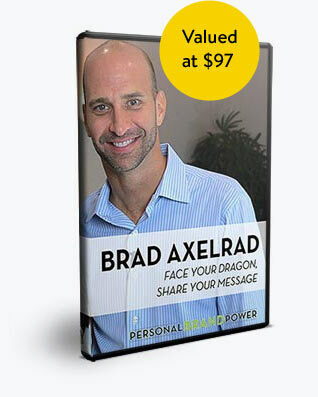 It’s a never-before-released 90-minute session from my Message to Money Live event called “Face Your Dragon, Share Your Message.” People in the audience literally had breakthroughs during this session as Brad guided them into and through the fears that were getting in the way of sharing their message with the world. Most people neglect their voice and forget to warm up before they get in front of the camera and as a result their performance isn’t as powerful as it could have been. Award-winning performer and International authority on Vocal Empowerment, Ariella Forstein of The Ariella Approach has agreed to share with Personal Brand Power students her “Vocal Warm-Up Essentials” album before it’s even released! This CD will retail at $19, but it’s yours free as part of Personal Brand Power. I am in transition from a successful career in finance to setting up my own business so Personal Brand Power came at exactly the right time for me. This is a really transformational, exciting but also scary time for me. I am also a single mom with 3 little girls and I have a lot of fears around giving up my financial security. Personal Power Program really brought home for me that I am my business and that what makes me unique is what's going to make my business successful. It was very powerful for me to go through the interactive exercises and really reflect on what makes me special and stand out. It boosted my confidence and made me realize that I should just go and put myself out there in front of all these finance managers who feel like they are wasting their lives away in uninspiring jobs. I know I can show them that it doesn't have to be that way. They can turn their career and their lives around and bring the joy and fun back into their lives. I am on a mission now to generate that ripple effect to bring fun, cooperation and above all inspiration to workplaces all around the work. Disengagement at work no more! I was really struggling with feeling with feeling inadequate and incompetent in my role as entrepreneur and was too much focused on gathering knowledge and not enough on putting myself out there in public. Personal Brand Power gave me the confidence to put myself, my business and my vision out there without holding back. I am now ready to launch and be unstoppable. I feel liberated through the Personal Brand power program. 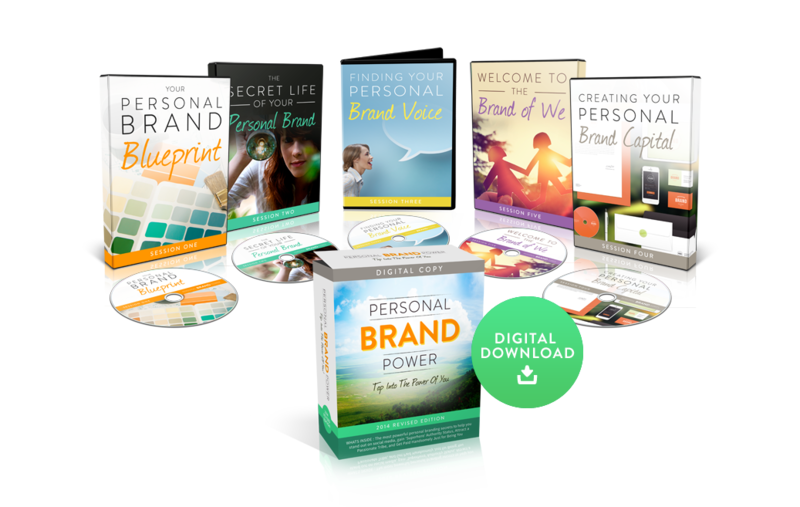 Get Personal Branding Power Now! This program isn’t for you if your business’ competitive advantage is selling at the lowest possible price. Personal Brand Power has been created for entrepreneurs with a big, high-value message for the world who want to learn how to get it out there in a bigger way and change lives. If that sounds like you, then I want to work with you. I want you to be a part of this incredible course that I guarantee will change the way you market yourself forever. 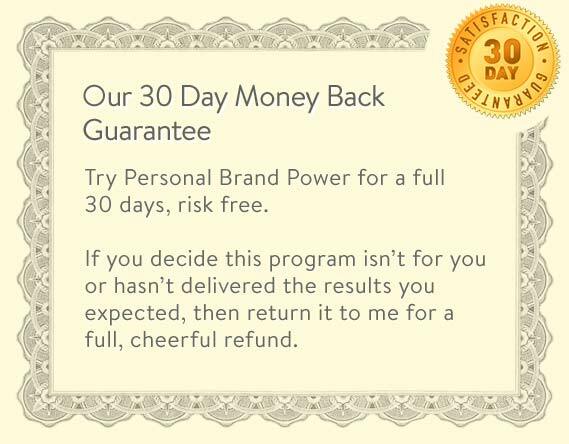 In fact, I’m so confident that Personal Brand Power will blow you away that I’m offering you an unconditional 30 day 100% money back guarantee. There are no catches or fine print whatsoever. If Personal Brand Power doesn’t live up to what you expected from it, just email our support team and let them know and we’ll arrange your quick refund. Promise! Then it’s time you took your personal branding to the next level. Literally nowhere else online or off can you find this level of personal branding instruction for such an affordable price. And besides, with my unconditional 30 day guarantee, there’s absolutely zero risk to you. This could be a real game changer for you. So come on… step into the spotlight with me. 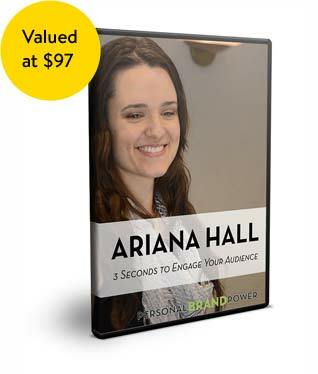 Get Personal Brand Power for Just $997! More From Our Happy Customers! Having been for many years deeply committed to my spiritual path and the values of “awakening consciousness and inner transformation”, the words “business, finances and success” were NOT at all my keywords! Now they are! How good is that? I absolutely love what Marisa does. She is the Einstein of message marketing and personal branding. She makes this process so easy to get and implement! Personal Brand Power is giving me the courage to bring more of who I am and the results I help my clients achieve to the front of my business. I spent a significant 5 figure sum in masterminds with other gurus before I found Marisa. 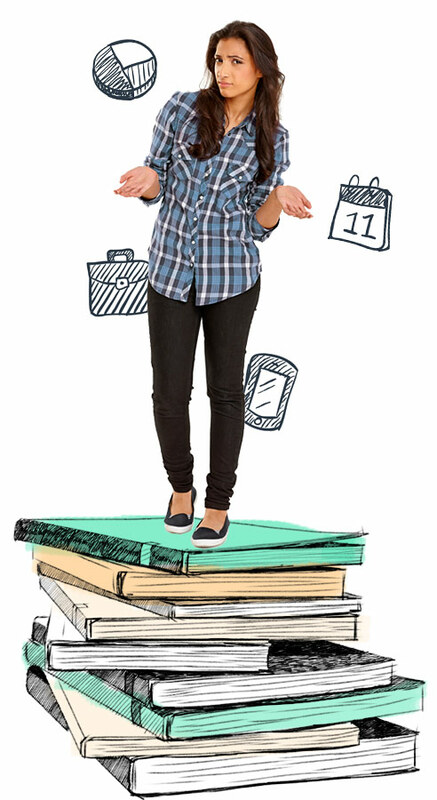 Marisa’s low ticket programs (less than $500), deliver more value and go DEEPER than masterminds costing $15,000. If I had just spent $1000 with Marisa in the first place (I didn’t find her until I paid for the other masterminds) - I would have gotten to where I am today faster with a lot more money intact in my bank account. Marisa goes DEEP in helping you understand the psychology behind WHY you need to do what you need to do to market your business and stand out as the leader. Her programs have reinforced that it’s at the “edges” that others notice you and I am not afraid to be “edgy.” I use to sound like every other life/health coach and now I get noticed because I’m being BOLD and edgy with who I am and what I have to offer. I have gotten noticed by other personal development gurus - because of my story and because of my brand. People email me to say how powerful they think my website is. My following is growing fast because of my message. I have become better at not selling myself short and fully giving away what I have worked on and spent thousands of dollars on over the last 10 years. I have found clarity on the messages I was sending out to the world about my work and my self. I am now ready to get paid exceptionally well for what I have to offer.